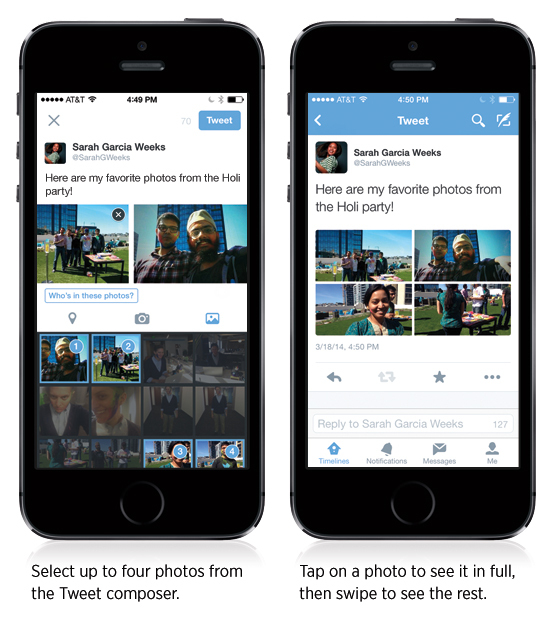 Twitter is making photos more social on its platform thanks to two new mobile features which are rolling out today. The annoucement was made on Twitter’s official blog. Also Read: Will Twitter Add Click-to-Call Button? 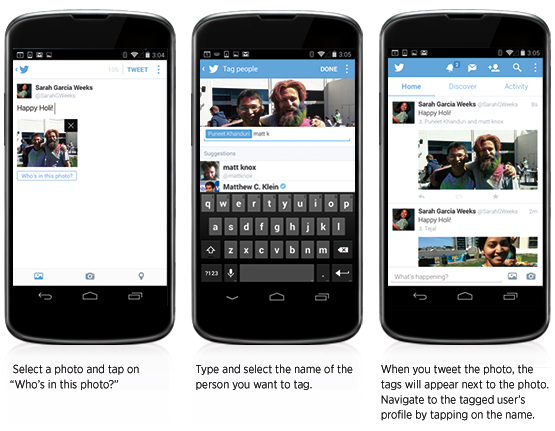 One is photo tagging, which lets you tag the people in your photo; the other is the ability to include up to four photos in a Tweet. Tagging people in a picture is what social media is all about: share moments with your friends. Now you can do so on Twitter and the good news is also that tagging does not affect character count in the Tweet — you can tag up to 10 people in a photo and still have all 140 characters at your disposal, making it easier to connect with your friends. If you’re the one being tagged, you’ll get a notification. You can adjust notifications, as well as who can tag you, in your Settings. Another great new feature is the ability to share a series of 4 photos that automatically create a collage. Just tap on a preview to get the full image and slide through the group. The ability to upload multiple photos is starting to roll out today on iPhone, and is coming soon to Android and twitter.com. But you can view tweets with multiple photos from today, no matter if you are on iPhone, Android or twitter.com. We think this is a great move by Twitter, how do you like it?